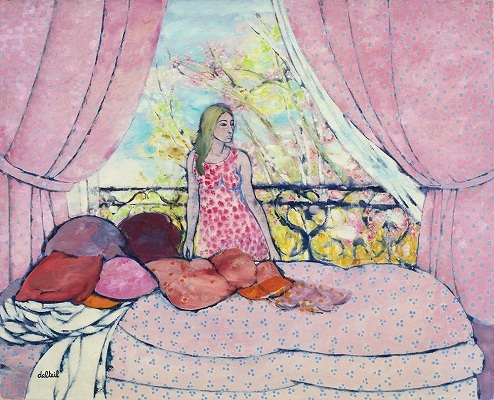 Created in the 1960s, French artist Maite Delteil’s paintings take inspiration from the artists she looked up to then, like Berthe Morisot, Edward Vuillard and Pierre Bonnard. 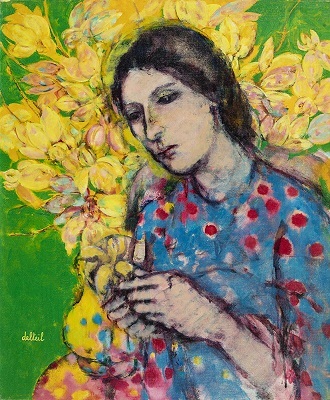 On display for the first time in India, Delteil’s artworks — that were made when she was quite young — depict her innermost thoughts on paper, and are characterised by their use of vibrant colours and female figures in most of the works. “I might have thought unconsciously that ladies have to find alone their place in the society, without the guidance of anyone. 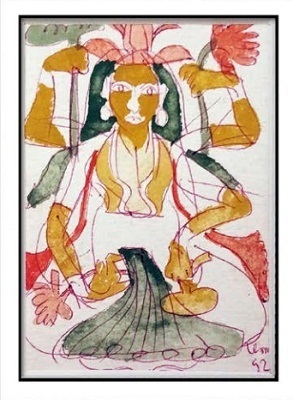 So unconsciously the work I was doing at that time mostly of single women in their own thoughts,” says the artist, married to Indian painter Sakti Burman, about her creations. 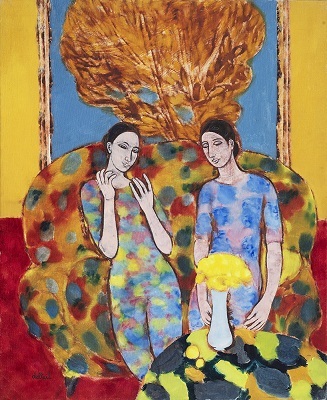 The Yellow Room is on display at Art Alive Gallery (S-221, Panchsheel Park), New Delhi until April 15. 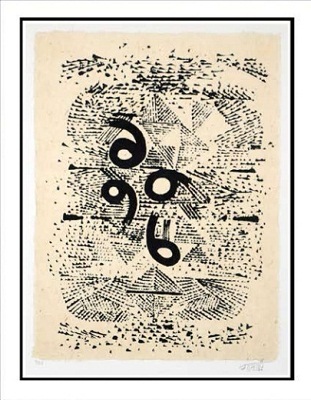 Aficionados of Indian art will definitely not want to miss this one. Featuring works by eminent artists Bhupen Khakhar, KG Subramanyan, Mukul Dey, Rabindranath Tagore and VS Gaitonde, Paanch traces the trajectories of these five significant maestros, illustrating how their non-conformist ways shaped the landscape of art in the country today. 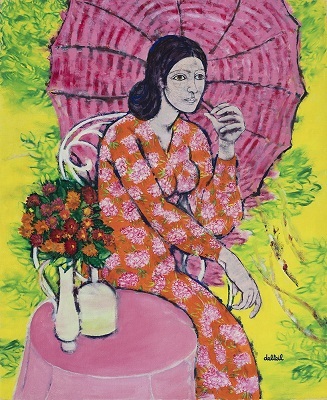 Paanch is on display at Gallery 7 (G3, Oricon House, 12/14 Rampart Row, Kala Ghoda), Mumbai until March 23. Spring is finally here, and what better way to usher it in that with a grand feast? 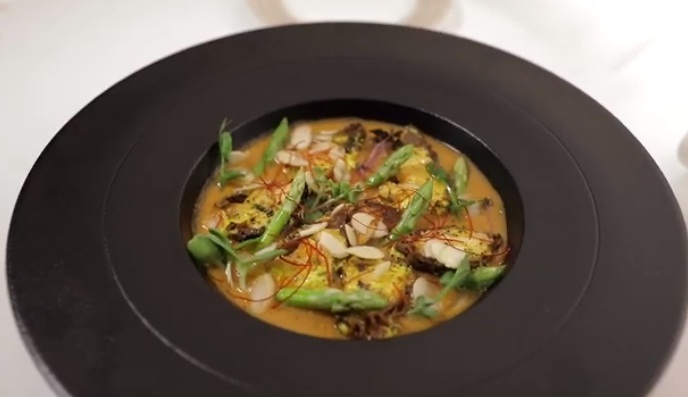 Michelin starred Chef Alfred Prasad, the mentor chef at The Oberoi New Delhi’s Omya restaurant presents a new menu inspired by the colours of spring, using the freshest ingredients of the season. Savour these dishes along with the Indian specialty restaurant’s signatures that include Omya chaat, murgh badami shorba, mango kasundi prawns, baaraah chap and more. The Spring Selection menu is on offer at Omya (The Oberoi, Dr. Zakir Hussain Marg), New Delhi until March 23. Macher jhol, rasgulla and mishti doi aren’t all what Bengali food is about. And Fairfield by Marriott in Bengaluru is here to give you a taste of what else you’re missing out on. Chef Swarup Maity of the restaurant Kava brings patrons The Bengali Connection, a food festival that celebrates the best of the eastern state’s cuisine. Get a taste of their many specials including the Machor Ghonto, Ethor Kaliya, Nolen Gur Rasagulla and much more, and satiate your appetite for true Indian delicacies. The Bengali Connection is on offer at Kava (Fairfield By Marriott Bengaluru, Outer Ring Road, Bellandur), Bengaluru until March 29. The SOI Chamber Orchestra and the Ishara Puppet Theatre Trust have come together to present a performance to illustrate the universality of myths and people from around the world. Based on books by Neeta Premchand that showcase ‘the Flood’ as it has existed in Indian, Mesopotamian and Biblical mythological texts, this performance — directed and designed by award-winning puppeteer Dadi D. Pudumjee — is sure to pique everyone’s interest. When Land Becomes Water will be performed at Experimental Theatre (National Centre for the Performing Arts, NCPA Marg, Nariman Point), Mumbai on March 23 at 4pm and March 24 at 11am. If too much of EDM and trance isn’t your thing and you want to hark back to the past, here’s a performance made just for you. The popular Delhi-based band Crooners Collective is performing a tribute to the music of yore this weekend. Presenting the best of swing, jazz and retro music, the band will be playing songs from the 40s to the 70s, to get your feet tapping. Crooners Collective will be performing at The Piano Man Jazz Club (Commercial Complex B 6/7-22, Opposite Deer Park, Block B6, Safdarjung Enclave), New Delhi on March 23 at 9.15pm.